Vocalize for range and sectional placement. We always want to place singers on the most comfortable vocal part for the best range of their voice. Sing a verse of 'America' in one or more keys. Sight-read a passage of the work currently in the rehearsal process. We are looking for seasoned choral singers, not (necessarily) soloists. In fact the most important thing is that a person must have control of their voice and have a wide range of vocal expression. No one should prepare a vocal solo because we won’t hear it. Before the audition we ask potential members to fill out an application form which is retained by the organization and not shared outside the audition committee. The information we ask includes name, address, phone numbers, e-mail and background information as a singer. In addition to the September auditions we sometimes audition singers before the beginning of the January concert cycle. Singers are expected to commit to our organization so that they can sing every Tuesday night from Labor Day to Memorial Day, excluding the Christmas Holiday season. We hold an Annual Meeting in early June. At this meeting we celebrate the ending season and elec new board members. Our performance repertoire is extremely broad in style and time -- from the Renaissance to the 21st Century. In addition to the standard classics of the choral literature we sing Gregorian and other chant, music from the ballet repertoire to Broadway musicals, and music from Gilbert & Sullivan to Grand Opera. We sing with orchestral, organ and or piano accompaniment, and we sing a cappella. 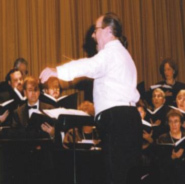 We generally use professional vocal soloists in our larger oratorio and opera programming. For more information and to set up an audition time, call 845-943-8962 and leave a voice mail message. Please be sure to leave your name and a phone number at which you may be reached. You may also e-mail the Director at lpritchard241@gmail.com or marghowealto@gmail.com. Tuesday, January 15, 2019 - 6:30 p.m.
Tuesday, January 22, 2019 - 6:30 p.m.
*Singers who audition are encouraged to remain for the rehearsal that follows which is a part of the audition for membership. No appointment is necessary. Copyright 2007 Camerata Chorale. All rights reserved.